Many of you ignore us. And by us, I mean your flight crew – you know, those pesky, perky folks in polyester that pour Cokes. Flight Attendants, contrary to popular belief, are highly skilled and it’s not in the art of delivering beverages and snacks. Instead, we’re safety professionals initially taught for weeks, some of us a couple months, on delivering babies, putting out fires, administering first aid and, of course, evacuating an aircraft… which means getting you off and to safety along with perhaps hundreds more in ninety seconds or less. We are required by the FAA to maintain these skills through annual recurrent training. 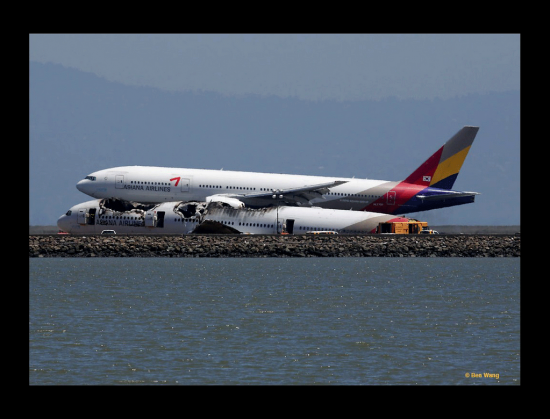 In an incredible show of just how capable Flight Attendants are at their job, our colleagues at Asiana Airlines evacuated a full Boeing 777 before it was engulfed in flames after crash-landing in San Francisco. Kudos to them for sure… Among our industry, we hold them in awe, partly because we are thankful it wasn’t us on that plane. We can do it and perhaps must one day, but no one wants to be faced with the danger, with death. But, you, Passenger, have to make a phone call. Send that text. Play with your iProduct. Ignore the safety demonstration. Do you recall where your exit was? The plane is on fire; the door near you is blocked. The overhead bin is now in your lap. Smoke has filled the cabin and you cannot see. Wires and oxygen masks hang in your face. Who are you gonna look for now? Oh, it’s the Flight Attendant! The one who said hello to you during boarding but to whom you could not utter a word because you were too busy to notice. We appreciate your flying; we genuinely do. We enjoy hearing about your world, where you’re heading for business or vacation. Without your business, we wouldn’t feed ourselves much less our families. We couldn’t pay our car payments or afford to educate ourselves higher than the degrees many already possess. We also wouldn’t jet off to exotic locales courtesy of the company we work for and enjoy a lifestyle unlike any other. We really do enjoy serving you. When we sit on that jump seat for takeoff and landing, we are recalling our training. Where is my emergency equipment? What are my evacuation commands? If we land in the water, which exits are usable? What should I take with me to use until first responders arrive? The Asiana crew was en pointe. And that is where we need you to be, Mister and Mrs. Important Passenger. We need you to turn off your damned electronics and listen to us. Debate the specifics of whether it interferes with aircraft navigation guides with someone else. We need you to hear us and not just for your sake. While you’re being caught up to speed on the very important details other passengers are comprehending, you’re cutting into the ninety seconds we’re trained to get you off the aircraft, namely because that’s approximately the time it takes for it to become engulfed in flames. It’s not just you we’re tasked with saving… it’s everyone on board, and then ourselves. You can thank us later… after you say hello. And, leave your damned belongings behind like we told you. No one needs luggage during an evacuation. And, if you puncture the slide on one of our only usable exits, we’re not going to be as happy as we were when we were pouring you that Diet Coke. Think it cannot happen to you: You can’t ask those two teens that died but ask the hundreds who walked away. Message totalement vrai ! 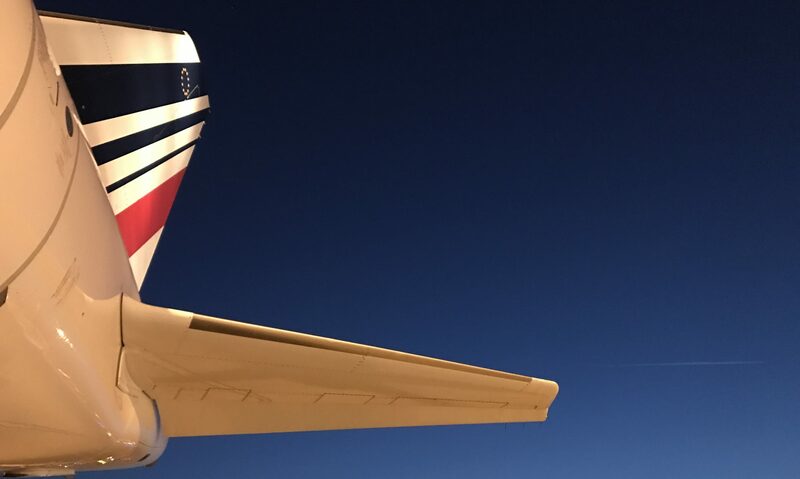 Certaines personnes ont tellement l’habitude de prendre l’avion et que tout se passe bien, qu’elles se lassent des démo que font les hôtesses, jusqu’au jour où ça s’avère utile !! Sinon, je vous conseille cet outil http://www.rssaero.com, il permet de rester informer sur l’actualité de l’aéronautique !